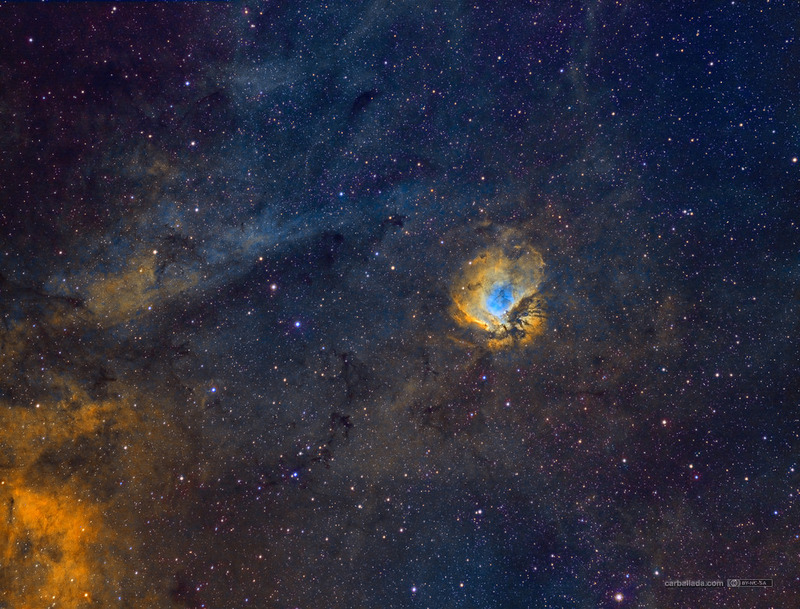 I continued my personal exploration of Cygnus in narrow band. I like so much the results of this emission nebula near Deneb, about near 5.000 light years of distance to us. Probably I will zoom to this nice Sharpless object with my RC10 at some point on the future.